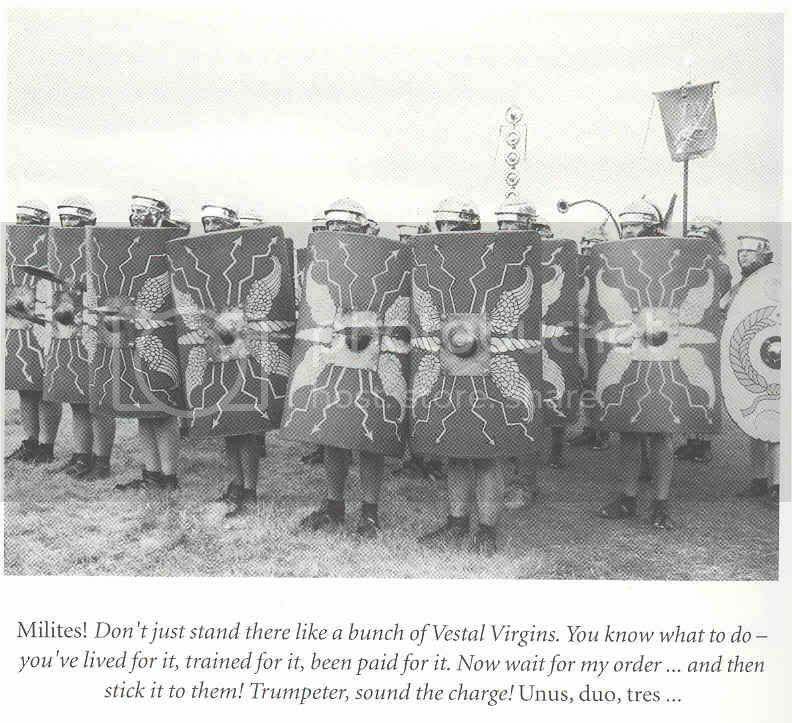 Legionaries is a light-hearted (?) look at the life and times of a Roman soldier c. AD 100, when Rome was at the height of its power and the legions were at the height of their professionalism, couched as a guidebook about what to expect for the next 25 years of the new recruit’s life. I’ve been a student of Roman history since I was a kid and saw 8 mm movies in class about the pax Romana or TV movies like Masada so the broad outlines of its military history were familiar enough but it’s fascinating to learn about the details, gleaned from close reading of the surviving histories and archaeological evidence. The ethically conscious part of my soul found such dismissiveness distressing and distracting. But as a description of life in the imperial armies for the general reader, Legionaries is well written, accessible and easy to read. Prospective legionaries had to be “persons of good character” (to quote Sarek from ST:IV) – no criminal record – and had to carry letters of recommendation. These requirements lapsed in latter decades as the empire’s military situation deteriorated; much like a certain modern superpower that finds itself desperately fighting a number of simultaneous wars. Even more important than a sharp sword and well oiled armor was footwear. Legionaries marched – a lot. Forty miles in 12 hours is the standard pace (in full kit). I think it says a great deal that the prospect of serving 25 years with little expectation of promotion or wealth, brutal discipline, and mind-numbing routine looked attractive to young Roman citizens.